Our next Where’sWestie is only a few weeks away on the 12th of September 2011! We’re super excited to introduce all you dancers to a new venue in Hollywood called “Spot5750” . This place is HUGE, and AWESOME. You’ll definitely want to see it for yourself. Nice bar and ballroom area with sweet lighting and nice TVs all around the room, also separate rooms with Pool tables for some non-dancing activity! Doors open at 7:30 with preliminary music — show up, scope the spot, and get yo drank on! Come dressed as dressy-casual — Basically, jeans and a nice shirt! 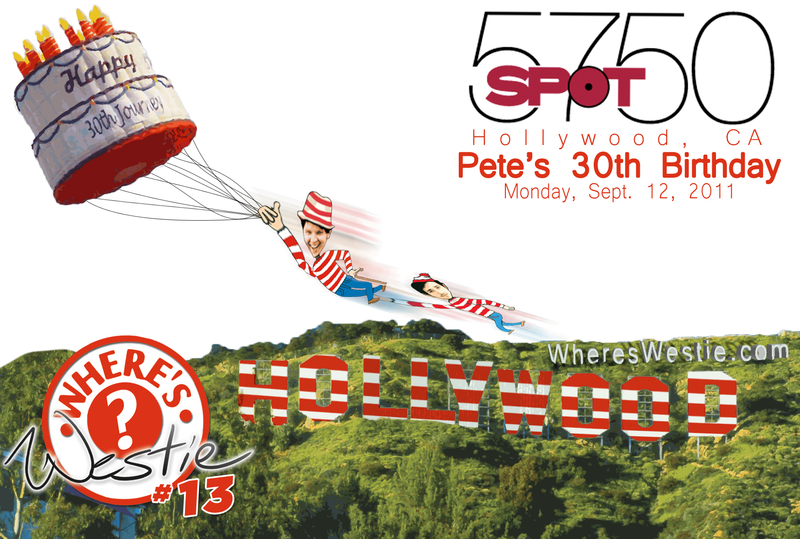 Come out and celebrate Pete’s 30th birthday with us at Spot5750 on the 12th of September!